Posts Tagged "NY Sunday News Magazine"
Home » Posts Tagged "NY Sunday News Magazine"
More art deco. With shine-on lights, color just where the light would shine on straight hair. This idea got more press in all the major magazines at the time than any of the many inspirational stories in La Coupe’s 1974 Art Deco campaign. 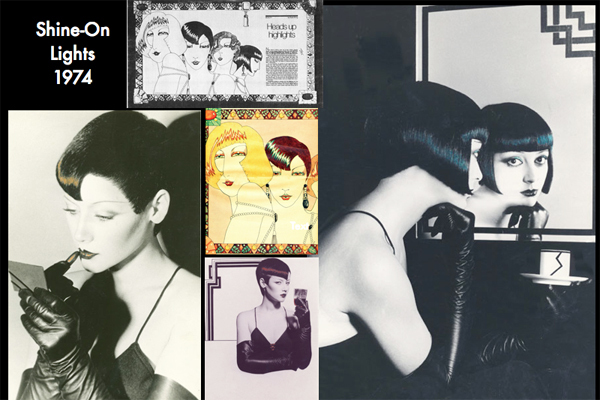 For more, much more, and how-to’s for color and cuts, go to HairThen, La Coupe, 70s, Art Deco on this website.